Sen. Marco Rubio and Ivanka Trump are coming after your Social Security benefits. 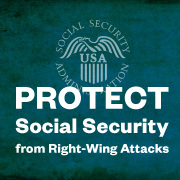 The pair is reportedly building congressional support for a proposal that would require people to accept a cut in their future Social Security benefits. Your action has been submitted. Shared petition over social media.